Dutch saxophonist Arno Bornkamp is the archetype of the modern virtuoso, feeling equally at home in traditional and contemporary repertoire. Hailed as a lyrical musician with a great sense of performance, Bornkamp studied at the Sweelinck Conservatory in Amsterdam with Ed Bogaard and graduated in 1986 with the highest distinction. He has won many awards, the 'Silver Laurel of the Concertgebouw' and the 'Netherlands Music Prize' among the most noteworthy. The latter enabled him to go abroad, studying in France with Daniël Deffayet and Jean-Marie Londeix, in Japan with Ryo Noda as well as working with composers such as Luciano Berio and Karlheinz Stockhausen. Since his 1982 solo debut in Rome he has played more than 200 concerts with orchestras around the world. Arno Bornkamp is thé ambassaor of the music of JacobTV. Jacob wrote his ‘Tallahatchie Concerto’ for him. But also composers like Joey Roukens, Peter van Onna, Chiel Meijering, Simon Burgers, Fabrizio de Rossi Re, Carlos Michans and Christian Jost dedicated their saxophone concerto’s to him. Also chamber music is a big love of Arno Bornkamp: for over 30 years, Bornkamp has been a member of two groups: the Aurelia Saxophone Quartet and the duo with pianist Ivo Janssen. The many CD's he has made since 1990 on various labels have garnered national and international praise. 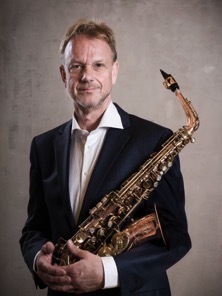 Arno Bornkamp is a renowned teacher, leading an international saxophone class at the Conservatory of Amsterdam; next to that he teaches at various masterclasses around the world. Tse has been an active recording artist since his first CD for Crystal Records at age 23. There are now a total of six Crystal CDs—presenting a wide variety of saxophone repertoire, most of it new, some with assisting artists—as well as eight other releases and more in process on RIAX records, Enharmonic records, Arizona University Recordings and MSR Classics. As an advocate for new music, Tse has had over thirty works dedicated to him by notable American composers as well as international composers. Tse has recorded and premiered many of these concertos, sonatas, solo works and chamber pieces. 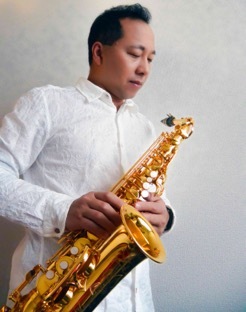 His arrangements for the saxophone are published by Reed Music, Australia, and his articles have been featured in the Saxophone Journal, The Instrumentalist, Fanfare Magazine, Saxophone Symposium, Iowa Bandmaster Association Journal, Japan’s Piper and The Sax Magainzes, and Yamaha Education Series. Tse has also founded the Hong Kong International Saxophone Symposium which connects saxophonists from Asia and Oceania with world-class saxophone performers and teachers in a week-long event. Tse is currently Professor of Saxophone at the University of Iowa, Past-President of the North American Saxophone Alliance, and President of the International Saxophone Committee. More information and media clips are available at www.kenneth-tse.com. Dr. Javier Valerio is widely recognized as one of the pioneers and leading classical saxophonist in Latin America. He is currently a member of the International Saxophone Committee (ISC) and President of the ALASAX (Latin American Saxophone Alliance). 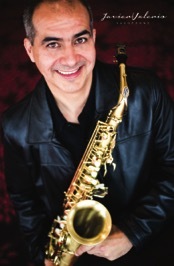 After studying with the world known saxophonist, Eugene Rousseau, at Indiana University School of Music, Valerio returned to his home country, Costa Rica, and established the Saxophone Studio where he has been teaching as a Distinguished Professor of the School of Music at Costa Rica University and worked as the Director of the Instrumental Department. He is founder and Director of the Sax Fest Costa Rica International, the Costa Rica International Saxophone Competition and founder of the renowned saxophone and percussion quintet, SONSAX. Valerio is also an exhaustive advocate of the Latin American classical saxophone repertoire. He obtained his Master degree in Jazz Studies at Florida International University, Miami, Florida and was the saxophone professor of the Classical Saxophone Studio at FIU, the New World School of the Arts in Miami, and a member of the Florida Saxophone Quartet. Dr. Valerio obtained DMA degree from the University of Kansas, as part of the KU-UCR partnership initiated in 1958. Valerio has being invited to play as soloist with Orchestras and Concert Bands throughout North and Latin American countries. He has performed in numerous occasions on the World Saxophone Congresses and North American Saxophone Congresses. He has been a Juror of important saxophone competitions around the world such as Adolphe Sax International Competition, Dinant, Belgium, President of the Jury for the Marcel Mule Saxophone competition at the Universidad Autónoma de Mexico and many others. Valerio has travelled offering recitals, clinics, master classes and concerts in countries such as Russia, Japan, Canada, United States and México etc. Javier Valerio is SELMER PARIS, EUGENE ROUSSEAU Mouthpieces and D’Addario Reeds artist. 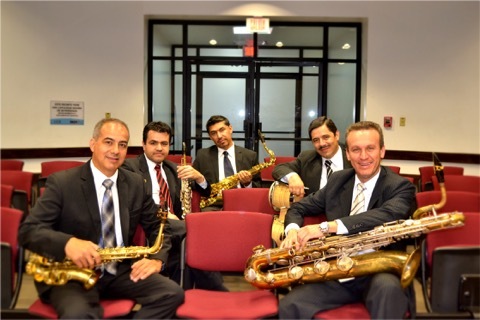 For more than 19 years, Javier Valerio, Pablo Sandi, Harold Guillen , Arturo Castro and Manrique Mendez, SONSAX- have pursued a particular creative vision. Through the years, SONSAX has maximized all the different qualities and possibilities of the saxophone and percussion, instruments that due to its versatility allow performing all different styles and rhythms that exist in the different musical languages around the world. This band has gathered a large and varied repertoire of musical genres such as Latin American music, funk, jazz and classical among others. The music is created and arranged by the band members who adapt any kind of music to the band characteristics with a particular style. SONSAX has become one the most influential saxophone ensembles from Latin America, performing hundreds of concerts in countries such as Russia, Japan, Canada, United States, Chile, Brazil among others.